3Want Professional Advice from an HR Specialist Without Hiring One to Work Full-Time? 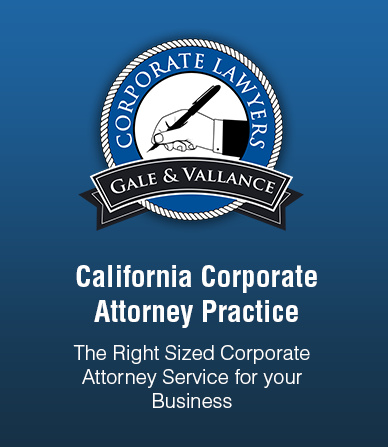 More and more micro and small businesses in California are having trouble with employee lawsuits. There are many businesspeople who have declared bankruptcy because of the costly settlements. In most cases, these problems can be avoided if these enterprises have an HR department. But a lot of these companies cannot afford to hire a full-time HR staff. The solution is here! The HR on Demand Service is a cost-effective alternative to hiring HR personnel. Typically, an HR expert costs around 5000 dollars a month. Many small businesses cannot afford to hire one. In our many years of experience in handling micro and small businesses, we have repeatedly observed that all of them face very similar predicaments. One of the most common problems is internal issues that involve employees. Prudent entrepreneurs know that hiring a full-time HR professional or an HR staff is a necessary part of running a company. The human resources department of a business is responsible for handling problems that involve employees. They also set up measures and processes for enterprises to avoid employee-related issues. The concerns of employees must be taken seriously by their employers, because if a disgruntled staff member reports his or her complaints to the State’s Labor Department, a company can potentially lose thousands and thousands of dollars. There are many cases of businesses in California that have gone bankrupt just because of expensive settlements with angry employees. A human resources professional is a person who has passed the necessary training and certification to provide companies with quality HR services. Hiring an HR specialist usually costs three to five thousand dollars a month. Many enterprises, like solopreneurs and family-owned businesses, do not have enough financial resources to hire a full-time HR expert. The presence of an HR department can help a business defend itself against lawsuits filed by employees through the Labor Department. Small businesses that do not have HR staff are the ones that are adversely affected by the charges, because the settlements can drain their finances. A business owner recently came to us for help regarding a rogue employee. The client is an accountant who owns an accounting firm based in California. One of his employees went to the Labor Department to file a complaint. The staff member claimed that the owner was not paying him for overtime work and did not allow him to take breaks. Employee-related complaints are taken very seriously by the Labor Department. After the claim was filed, a letter was sent to the accountant informing him of a lawsuit and that he must attend the hearing to explain himself. Consequently, the client, together with our business lawyers, went to the trial. At the Labor Department, the Commissioner asked the accountant to present payroll records that show the break periods that have been given to the complainant. The client also had to provide documents that prove that the employee was paid for overtime work. The Commissioner also requested the client’s Employee Handbook. Regrettably, the accountant did not have any of the items that were asked from him. The accountant confessed that he had a very crude record-keeping process in his company. He jotted down all his employees’ payroll by hand, which is a very unreliable method of documentation. Moreover, the company kept all corporate records internally, instead of hiring an offsite service. To make matters worse, the client lost all of the angry employee’s records. We suspected that the employee could have stolen the documents before he left the firm. The accountant’s other employees helped bear witness against the rogue staff member. They all testified that the client allowed everyone mealtime breaks and paid overtime fees dutifully. Unfortunately, their testimony was not enough to win the entire case. The employer had to spend 10,000 dollars to settle the lawsuit. If the firm had an HR department, the accountant could have avoided this problem. If he had hired competent HR staff, an Employee Handbook could have been constructed. This document is necessary because it covers all the guidelines that are expected from both employee and employer. Before an employee can work for the company, he or she signs his or her copy of the handbook in agreement to the terms of employment. Furthermore, if the accountant had hired HR personnel, a proper record-keeping process could have been set up. Accurate documentation is a vital part of running a business. A prudent entrepreneur keeps records of his or her employees’ payroll and documents all break periods given. The accountant is fortunate that only one employee filed a complaint. If there were more than one disgruntled staff member, his firm could have spent more money, and he could have probably gone out of business. Want Professional Advice from an HR Specialist Without Hiring One to Work Full-Time? All types of businesses encounter employee-related internal problems. But compared to larger enterprises, these kinds of issues are more challenging for smaller companies. Big businesses usually have HR staff that handle their employees’ concerns full-time. Most micro and small businesses, on the other hand, cannot afford to hire an HR specialist to deal with these dilemmas. We finally have the solution! Our HR on Demand Service is now available to companies who want to consult a certified HR professional without having to hire one to work full-time. With this service, entrepreneurs can call an HR expert on an as-needed basis only. Business owners only have to pay 300 to 400 dollars a month to avail themselves of the HR on Demand Service. Our HR consultation on-call specialists are available to help businesspeople construct a proper Employee Handbook that specifically applies to the industry they are in. Our competent HR experts can also help entrepreneurs set up processes that will help them avoid various employee-related issues. Want more information about the HR on Demand Service? Call us today at +1 (714) 634-4838!